When David Fort arrived at Samford University, he knew his life was about to change. "I knew little about Samford until I was told they had a nurse anesthesia program opening up. The day I drove on to the Samford campus and walked into the nursing school, I knew the Lord had led me to this wonderful university for a reason." 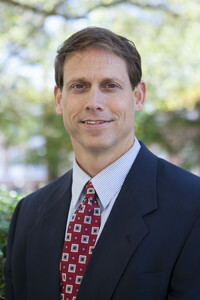 Fort, a Samford alum, was a recipient of the Agatha Hodgins award for most outstanding nurse anesthesia student and has worked in the department of nurse anesthesia for seven years. He feels fortunate to be able to give back. "Attending Samford was a wonderful experience that I will always be grateful for. I love Samford and its Christian ministry. It is a great pleasure to be able to help guide young people, not only academically but spiritually."